Hello Everyone, how are you all? 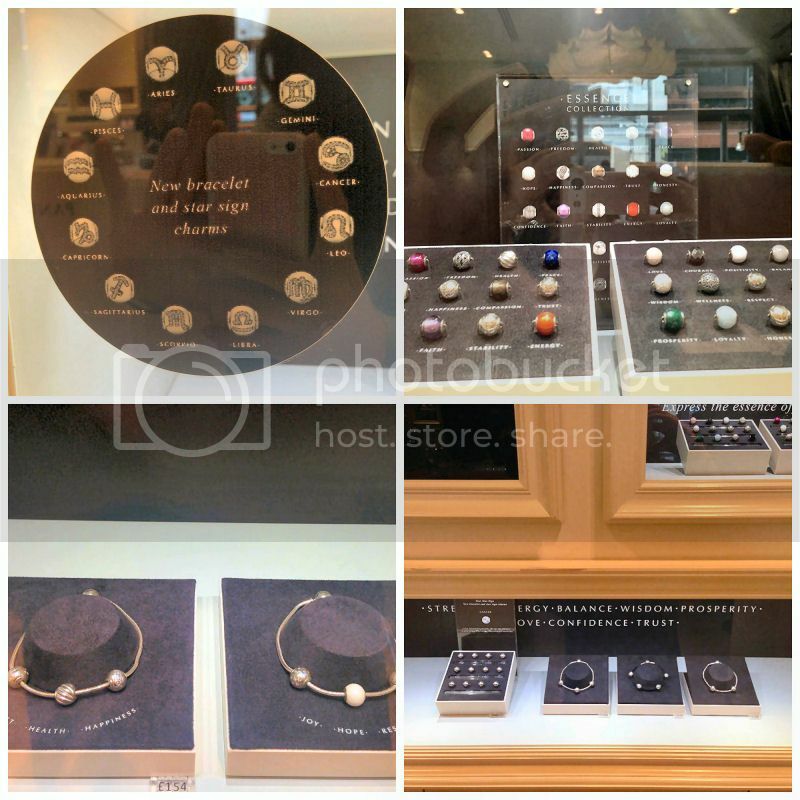 Last week I was lucky enough to be invited to an event at Pandora’s flagship store in London to celebrate the launch of their brand new product range, the Essence Zodiac collection. I don’t often go to events on my own anymore as after being a blogger for nearly two years there is always normally someone there I know or I go with one of my best blogging friends Rachel from Beauty Queen UK so I was a little nervous. The event was first thing in the morning which was nice because I could go having my hair and make-up freshly done rather than looking a little tired after work and as you can imagine I was very excited on my way there. As soon as I stepped inside the store my nerves completely disappeared as the PR girls and staff are so friendly and welcoming they really made me feel at home. I was shown the different areas of the store that had been done up especially for the event and after choosing a drink I headed straight over to the new collection because I couldn’t resist not looking at it first. There are two parts to the Essence Zodiac collection, the first being orientated around star signs and the second around elements such as health, hope and love. Pictured above are products from both and equally are as beautiful. There are a selection of new bracelets from the range which include the fabric bracelets in either one strand like the one above or two and a selection of silver bracelets, all of which show of the new charms perfectly. Moving onto the charms themselves, each and every one of them is beautiful and very wearable. The charms for the star signs are all made of silver and have a very delicate outline of the sign engraved into them with cubic zirconia carefully placed inside. The second part of the collection are the ‘Essence’ silver charms which include elements such as Joy, Stability, Passion and Respect. These charms vary more than the star signs and all look very beautiful. Some are colourful whereas others are purely silver but I can see all of them being very popular. As I was looking at the display I was definitely designing a bracelet in my head using these charms! After I drooled over the new Essence Zodiac collection for quite some time and spoke with the PR girls I had a look at the Zodiac inspired activities that had been specially selected for the event. The first was a fortune teller who after asking some brief details about you such as where you were born, your birthday and time of birth pulled up a graph on his computer and began telling you interesting facts about yourself as well as some things about what the future holds. I’ve always been a bit wary of these types of things in the past because of the fear of being told something awful but without really thinking twice I headed over and took part in this interesting new experience. The fortune teller said a little about the person I am such as I’m close to my family, my family do everything they possibly can for me and that I’m not very independent before moving on to telling me more about my future. I was told that 2017 will be my year and there will be an awful lot in store. I will get married and have a very loving husband and have a fun, easy going, stable life and also my career will head to the next level and I will be a boss and very successful. It was freaky how right he was about some things about me so I will be interested to see what happens in 2017 and if any of the fortune tellers predictions come true.. lets see! After speaking a little more to people sadly it was time for me to go as I had to head to work so I didn’t have time to look at the remaining activities which involved some strategically placed screens in the store. They sounded really fun so I was disappointed but I had an incredible time at the event and it was the perfect start to my morning. Not only did I get to meet some lovely people and view the beautiful collection but I also learnt more about Zodiacs such as that I actually have three star signs, Scorpio (General), Taurus (Mind), Gemini (Soul).. I think that’s right! I would definitely recommend taking a look at the new Pandora range as it is beautiful and would make the perfect gift for loved ones as you can make a bracelet or select a charm which is very personal to them. You can take a look at the Essence Zodiac collection on the Pandora website here or the Pandora e-store here. 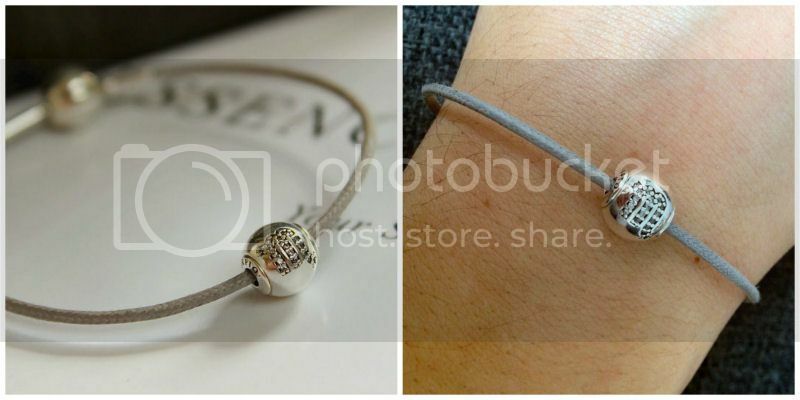 Pandora also have other beautiful silver charms that are available so they definitely cater for everyone. What do you think of the Pandora Essence Zodiac Collection? That event sounds so luxurois and lovely! The jewellery looks super pretty too, I love the look of pandora jewelery.